On one level it is clearly absurd that Apple should be able to act as a road block further developments of existing technology and be able to patent a simple shape. On the other hand as investors we are seeking IP as a form of competitive advantage. There can be a clear conflict between IP protection and the wider good. As ever the answer lies in a more sensible application of the law. The key question is: when is it a matter of standing on the shoulders of innovation and when is it theft? We all use and incorporate previous technology – if we didn’t then we would still be living in caves. That is not the same as stealing ideas and directly exploiting them without adding innovation. Catalyst IFG started offering single invoice factoring 2010. This kind of finance benefits all kinds of business but especially those with lumpy or unpredictable cash flow. It’s a really useful tool for supporting cash flow – exceptionally quick to arrange and unlike normal factoring or discounting requires no long term commitment. When we started promoting this funding option it was an almost instant success. The finance community – including banks and other factoring companies – were very supportive. This is something completely different to what they offer and is no threat to their business. Basically we fill a need which has historically been ignored. In its first year Catalyst IFG factored close on £1m of invoices and provided almost £750k of vital working capital finance. Since the start of 2012, the rate of growth has accelerated sharply. Awareness of this option is growing and business owners and managers are increasingly scared of the traditional funding options. Apart from the fear that requests for credit will be turned down anyway (computer-says-no syndrome!) the amount of time and bureaucracy needed to reach that conclusion is a real problem. And there are too many horror stories of facilities being withdrawn for no obvious reason and with little or no notice. At Catalyst we do all our own underwriting so a decision can always be made on the spot. As a result we can complete deals incredibly quickly. I have done two deals already this year which have gone from first phone call to money-in-the-bank in less than 24 hours. It is unusual for a transaction to take more than a week to complete. Single invoice factoring has been a lifesaver for many of Catalyst IFG’s clients. Instead they are looking at a record year in 2012 and improved profitability. Catalyst IFG has clients in a wide variety of sectors – construction, recruitment, transport, public service, IT to name but a few. I feel really proud that we have been able to help so many businesses to survive and prosper. At the moment there are very few options out there and the traditional funding sources are routinely letting people down. In many cases, businesses feel abandoned so it is a real privilege to be able to help turn things around. To discuss how Catalyst IFG might be able to meet your working capital needs please contact me: Jeremy Lawrence on 0845 528 0788. Catalyst Talent is a search company that specialises in matching entrepreneurial leaders to exciting business opportunities. Catalyst Talent is a spin out from Catalyst Venture Partners and has been created to provide the type of individuals needed to lead fast growth companies. The latest roles available are listed below. 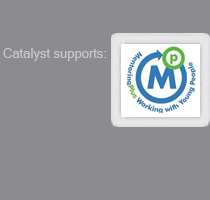 Please contact Ian McAnearney on 0207 1831069 to find out more about the roles or visit Catalyst Talent to download the job descriptions.